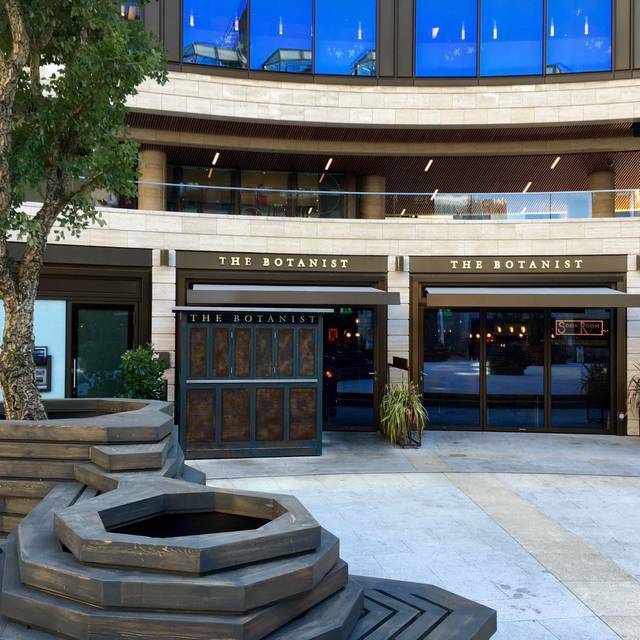 You must make bookings at least 5 minutes in advance of the time at The Botanist Broadgate Circle. 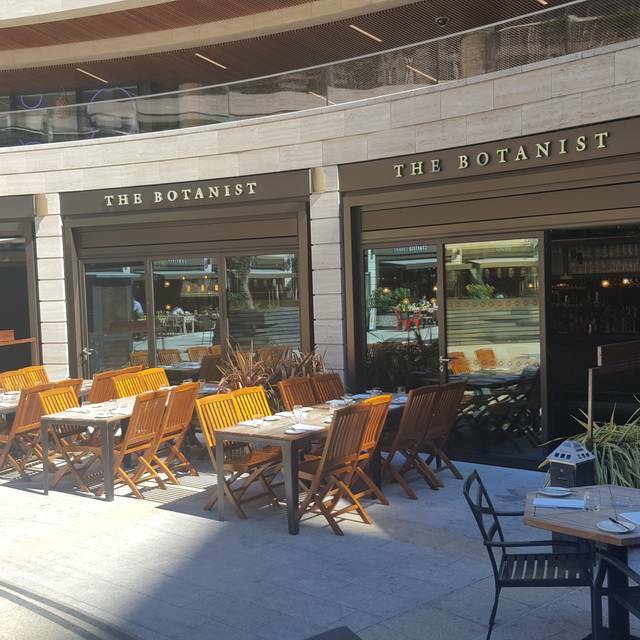 A spacious bar, restaurant and cocktail lounge with a huge sun terrace right on Liverpool Street Station’s doorstep, The Botanist Broadgate Circle is a City favourite serving an excellent range of lagers, signature cocktails and a classic British and European menu. Horrendous ambiance, so loud and a terrible place for dinner. 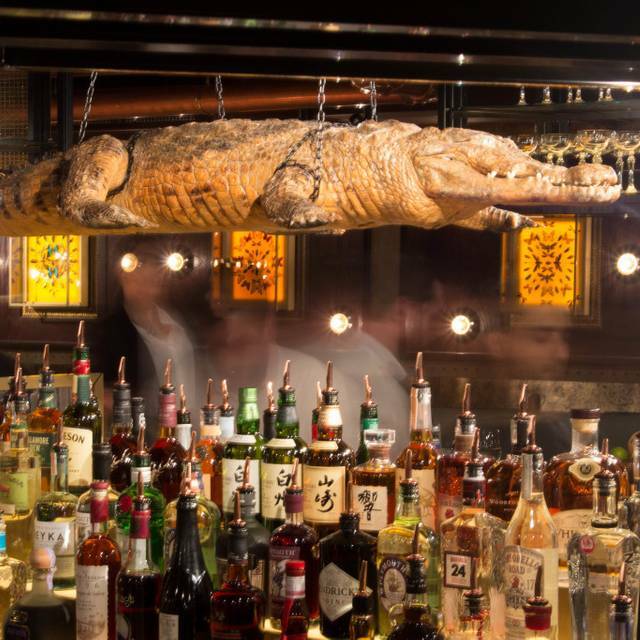 Need better separation between the restaurant and the bar. The chorizo pasta special was delicious! I could have eaten two bowls full. 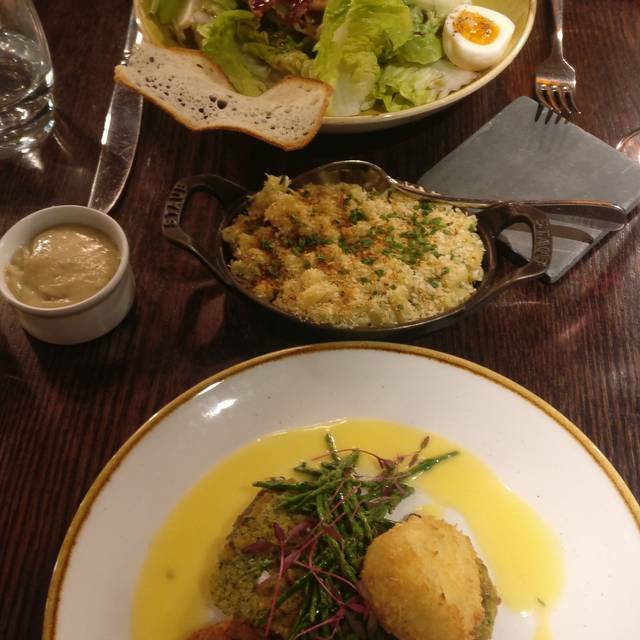 The Botanist is always a guarantee for good lunch. Not as good as it has been previously, the bottomless side of brunch has been toned down a lot. Food was ok.
Far too noisy at 6pm meeting a friend for a catch up. We went for the Sunday Brunch. Food was very good, tasty hot and well presented. Bottomless Bloody Mary's were very tasty, although the waitress needed prompting for a refill. Two different live music acts played during our time there, both excellent and provided a very good atmosphere. Its a good Sunday Brunch option. Great place to have brunch with friends, the bottomless brunch is worthwhile, the waiter keeps coming round to fill your glass so you glass is never empty, you can swap between prosecco and wine so they are very accommodating. It was quite cold in there so had to ask for them to turn the air conditioning off. I would say that just having one vegetarian main on the brunch menu is very limiting, they need to expand on that. Great, generous food and lovely lively atmosphere! The two steaks we ordered arrived after 40mins and we were one of two tables the sat for lunch at noon. The food was okay, however we did order sauté spinach and we got cream spinach as a side. Steak was requested medium rare and it arrived as solid medium well. It would have been more helpful if the server was writing down the order instead of trying to memorize it. Also, the lights and ambience is very awkward. Really strong lights at certain spots creating light and dark sections across the restaurant. 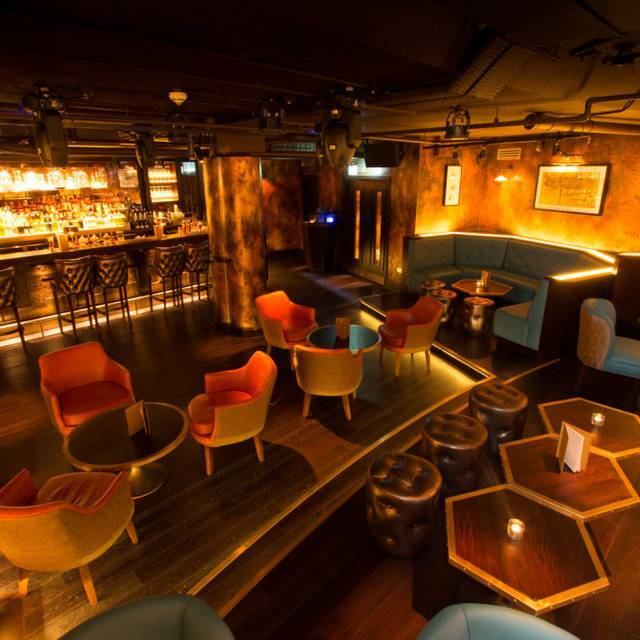 Went for a meal and drinks here on a Friday evening for a girls night and the atmosphere was perfect! Food was lovely, and a range of drinks and cocktails to choose from also. Nice place to meet friends for a late dinner. Solid food. A bit pricey, but would go back. Went for a birthday brunch, was worried it might be too 'clubby' and loud, but it wasn't. We were able to chat in relaxed surroundings, service was attentive and they kept us topped up with drinks without having to ask. The only negatives were that my starter was cold when it arrived (I didn't want to delay everyone so just ate it anyway), and initially they were slightly slow in getting drinks. Otherwise great food and nice ambience. Went for Thursday evening drinks and dinner with a girlfriend. It is right in the City so it is full of people in suits but it was buzzing and fun. Drinks choice was limited but decent. Main courses were tasty but dessert choice was a bit disappointing. Waiting staff were friendly and attentive even though it was very busy. I thought the place was lovely, the food really tasty, the service was impeccable... the issue was the that they were playing dance music pretty loud, and there were too many people drinking by the bar. I can not fault the food and service though, this was really good. I like the Botanist as a venue for drinks however the food let it down massively. I ordered the Beef Short rib and it was majorly undercooked and just VERY fatty which i wasnt expecting. I didnt eat most of it and it was £20. Great place for business lunch very convenient location, we arrived early and where seated without any fuss. Service was quick but not rushed. Food excellent. Messed up two of the three orders. Baking paper stuck to one of the burgers. Atmosphere was fine, but I wouldn’t rush back. 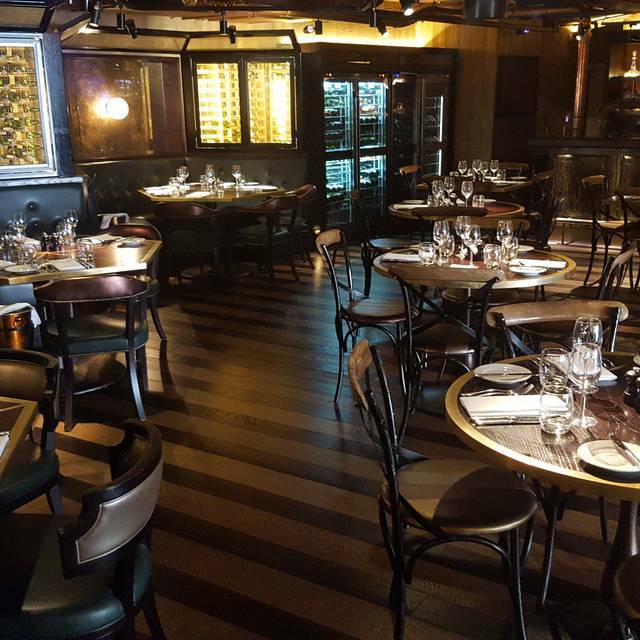 Overall my friends and I were very pleased with the food and service received at the Botanist and would recommend it to anyone else that is looking for a bottomless brunch in the City. Such lovely staff and one the best brunches I’ve ever had! I rung to say I was running late because of train delays and the staff were not rude at all and so accomdation. So so attentive with the bottomless drinks, my drink was never empty and new ones were constantly being offered! Food was such good value for money, I couldn’t believe how nice the food was especially as it was only £20 for two courses. This was a present for my best friends birthday and she loved it as much as me, it was such a lovely day! We went to the bar after our 2 hours was up for a few more drinks and the staff behind the bar were equally as friendly and helpful. A really lovely day! Popped in for an office lunch with a group of 6 & enjoyed the food. Grilled salmon & burgers we've had were at the gastro-pub level, perfectly acceptable. Service was lacking a bit but it was a busy lunchtime slot. Food was quite good but the service not great. They cleared our mains and didn’t offer a dessert menu and then when we asked they said the kitchen had shut. From about an hour before they closed, they kept reminding us it was closing and the waitress made it clear she didn’t want us there anymore. The food was poor, luke warm at best. Quality no better than a pub lunch. Both of us had upset stomachs that evening. Workman fitting CCTV cameras above our heads during lunch, whilst up step ladders one dropped his screwdriver on a table which made a loud clatter, a few people nearly choked up their food in shock. Then a cleaner, cleaning floors during lunch, rolled up the carpet which tripped a guy up who nearly took out some bar drinkers. Poor food, average service, badly managed. This place clearly living off of its location. Try another venue. The service was excellent. The wine (house red) was good. All the food we ordered was good, but it was let down by not being hot. The Restaurant wasn't that full so really there was no excuse for it not being served quickly, thereby keeping its heat. However, this was addressed by the Manager to our satisfaction so yes, I would recommend and would go back. Good food at a reasonable price in an excellent location. Excellent food although the service was not great (slow and not very friendly) and the noise level was way too high. Overall, I'd recommend it. Great food ! Tables are very close and tight, so there is no privacy at all, and the table next to us was very loud! 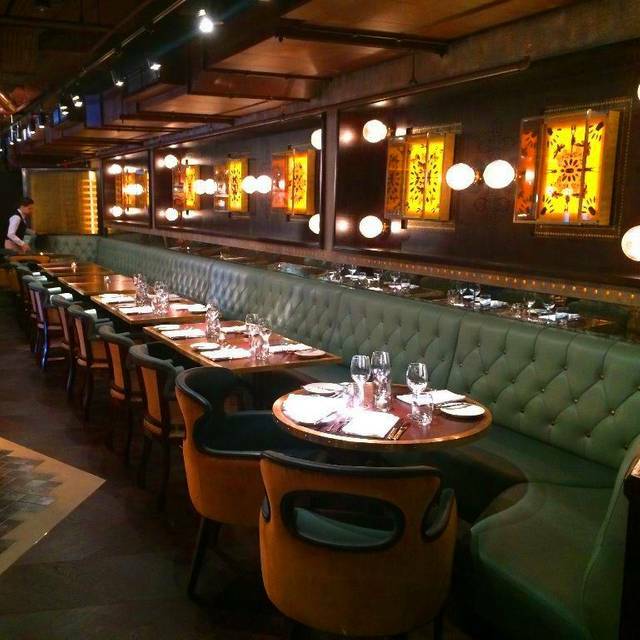 Conducted a business lunch, mid-week, and the service, ambience and food were all good. We didn't feel rushed and the servers, although attentive were not intrusive. I would certainly recommend. Good was really good and nice atmosphere - service always poor and rude at times. 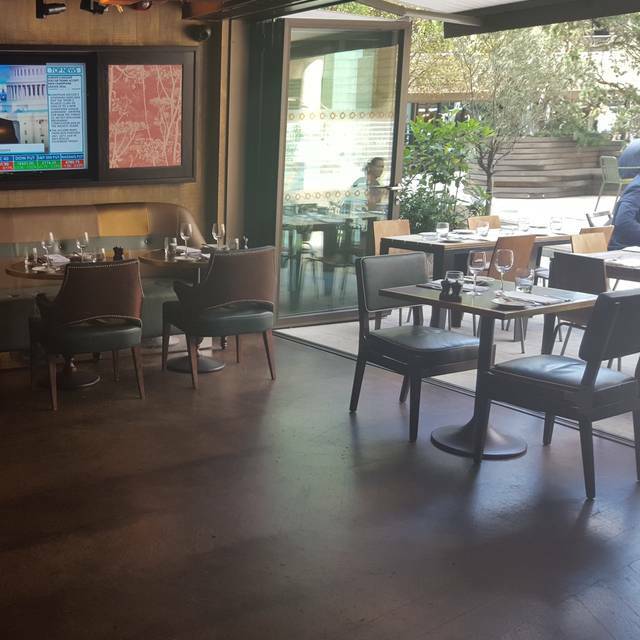 Overall the venue was nice, the service was pleasant and the food was as expected. Point came down as I asked if the leftovers could be taken away. The waiter looked confused & stated they are a restaurant and do not offer take away(!?) I than said can I take the remaining food away so there is no waste? He said again we do not offer this(!). This caused me to feel rage as this is very Unethical and a big surprise coming from such a venue! So I asked "what happens to the unfinished food if that's the case?" "We throw it in the bin" "do you not think this is wrong with starvation I. This world & if I am to pay for our meal I should be able to finish it!?" The waiter said I don't see the problem!? I can get the remaining to be foiled but we don't generally offer this! This caused a BIG concern as in this day & age majority of ppl are aware of waste & especially food waste! I will not go there again based on that tbh. For those whom plan to go please make sure you order to what you CAN eat! Great place to have a business meeting. Food was seasonal, service impeccable, and the price was adequate for a business lunch. I would highly recommend this restaurant. 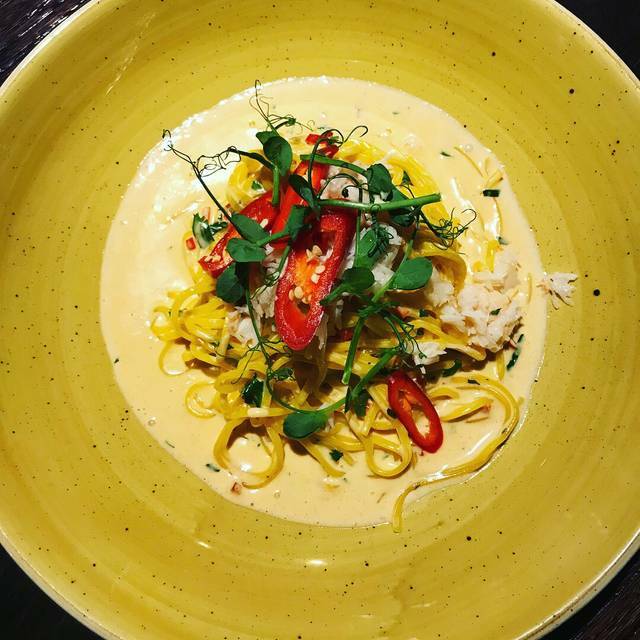 The staff are very friendly and accommodating and the food is lovely. Absolutely amazing service and food was great. Couldn’t have had a better afternoon! One of my favourite brunches in London! Food is always amazing and they are very generous with the prosecco. My glass never reached below half full! Great location and value for money.